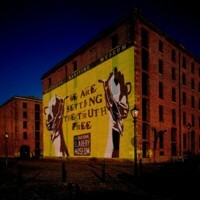 The Historic Dockyard Chatham opened a new exhibition in 2007 to look at the history of Chatham in the context of the transatlantic slave trade. 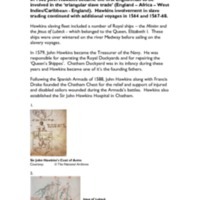 The exhibition examined dockyard ‘founder’ John Hawkins - the leader of the first English expedition to transport West African people to the Americas - the work of Chatham-built ships in policing the slave trade post-abolition, and the hidden history of people from ethnic minorities who served in the Royal Navy or worked in the naval dockyard, from the 18th century to the post-Second World War period. The exhibition also looked at Chatham's links to Indian shipbuilding. HMS Gannet (1878), preserved alongside two other historic warships at The Historic Dockyard, is the only surviving British warship to have taken part in the suppression of the slave trade off the coast Africa during the 19th century. Between 1885 and 1888 Gannet undertook anti-slavery patrols in the Red Sea, intercepting Arab slave traders operating off the East Coast of Africa, around the Gulf and the Indian Ocean. 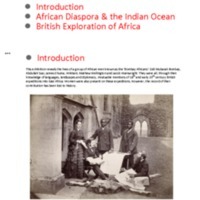 This project was a collaboration between the Dales Countryside Museum in Hawes and North Yorkshire Record Office to research people and places of the Yorkshire Dales connected with Africa, the Caribbean and India. 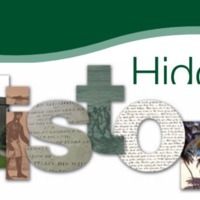 'Hidden History' collected local stories of slave owners and traders, abolitionists, Africans and Asians who moved to the Dales, and others like the actor Ira Aldridge who passed through. The project included various community activities. Working with actor Joe Williams, pupils from the Wensleydale School explored the life of Olaudah Equiano and performed alongside Joe at the exhibition opening. There were drop-in sessions on exploring family history, carnival costume making, talks and music. The exhibition toured to other locations in Yorkshire, including Boroughbridge Library. 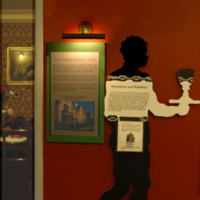 The Dales Countryside Museum has continued to collect information relating to individuals who were connected with the Yorkshire Dales and the wider world. 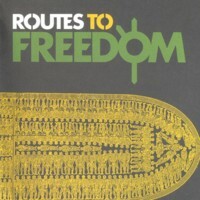 The 'Routes to Freedom' season of events took place throughout Autumn 2007 at The Drum, an intercultural arts venue in Birmingham. 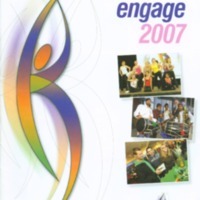 The programme explored the struggle for social justice and equality in relation to African, Asian and Caribbean communities, and marked two key historical events and their impact: the bicentenary of the Abolition of the Slave Trade Act and the 60th anniversary of the partition of the Indian subcontinent. 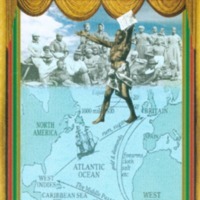 The programme was made up of theatre productions, touring exhibitions, film screenings, readings, dance performances and special events, including 'Coolies of the Caribbean' and a conference about Olaudah Equiano. This image depicts 'Jadawati, a weaver, she is working on a 24 feet carpet which will take her nearly 40 days to complete. As a bonded labourer, she is paid 60 rupees a day, a rate nearly half the minimum wages entitled to her as per the law. The carpet that might sell for 25,000 rupees or more will have earned Jadawati less than 2,500.' The composition of the image gestures towards a sense of imprisonment; the woman is visible behind the fabric weave which acts as an intricate prison. 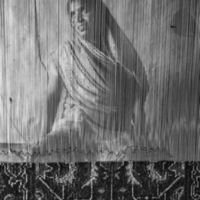 As the rug fabric moves towards completion the figure of Jadawati slowly disappears behind the pattern, as the object of consumption obscures the human cost of production.